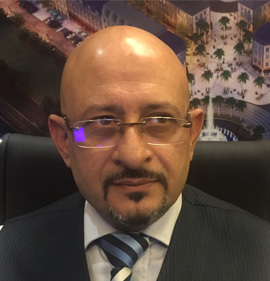 Manish Kapoor, a Retail Strategist with over two decades of extensive experience, is highly disciplined and seasoned Retail Professional with expertise in Brand Building, Zoning, Business Development, Leasing, Sales, Operations and Mall Management. He has been instrumental in the success of many retail projects and has worked pan India for various well renowned developers. He is methodical in his approach and innovative with his ideas. A Top and Bottom line oriented professional, always eager for new learning, has a track record of leading by example to enhance productivity of his team and maximizing on available resources to increase the profitability for his organization. He is always committed to achieve excellence in his work by adopting best market practices in the given situation. In his career span he has dealt with many international and national retailers like Tata Group, Landmark Group, Future Group, Reliance Retail, Marks & Spencer, McDonald’s, Burger King, Yum, Arvind Brands, Raymond, Madura Fashions, Cinepolis, PVR, INOX and many more. He has always been very analytical in creating a tenant mix whereby providing a win-win situation and better longevity. He has also worked for various retailers, guiding them in their expansions and marketing. He is also been an advisory to quite a few upcoming brands and developers. In the words of Manish, “Retail is “Tale” of making your clients “Re”-visit and “Re”-purchase from you”.